Last week my friend Alex and I drove down to Albuquerque at 4am to see the sun rise at that huge hot air balloon fiesta. We were sort of like kids waking up early for Christmas, all hopped up on coffee and donuts, driving down the dark desert road. We arrived with plenty of time until the sun would rise and the balloons with it. 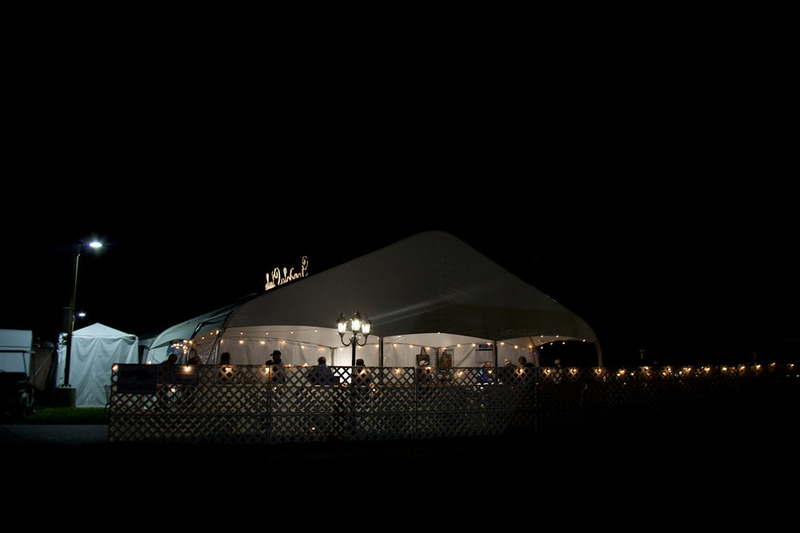 We watched fancy people stroll into the Gondola Club tent and not-so-fancy people eat funnel cakes and hot chocolate. And then, before the sun rose, the rain fell. A little rain at first, and then a horrible downpour. And the rain just didn’t let up. We (along with maybe 50 other people) crowded into a tent where they were selling funny hats and weird t-shirts to escape the rain and wait to hear if the event would be canceled (surely not! no no!). Well, it was canceled. No balloons that day, with the rain and the wind and such. So, Alex and I left, a little defeated (especially after temporarily losing our car after forgetting where we parked). We proceeded to get coffee at three different establishments in Albuquerque before driving home in the early afternoon, when the bright sun shone down from a clear blue, but blustery, sky.